The Town of Winter Park and the Grand County Board of County Commissioners (BOCC) have recently signed statements of support for the Colorado Department of Transportation (CDOT) in regards to an expansion of the Berthoud Avalanche Control Program. 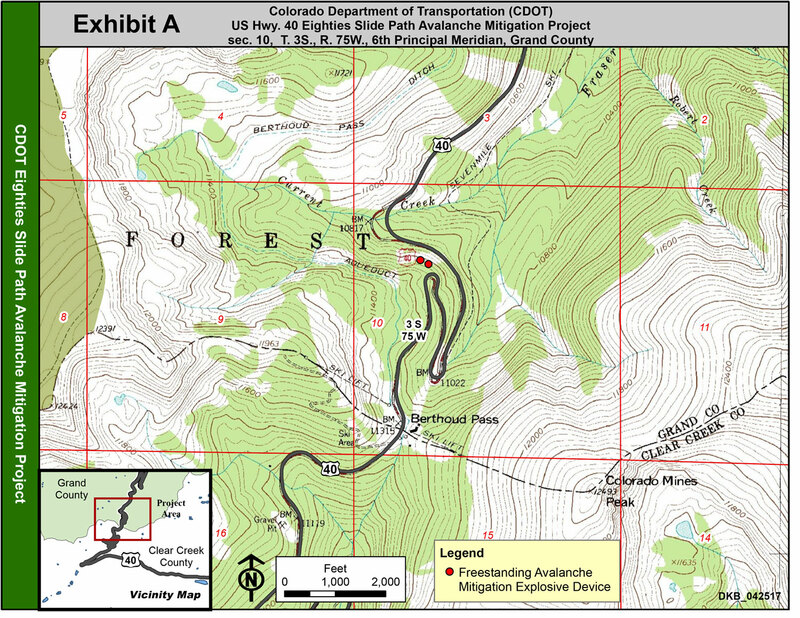 The proposed expansion would see the installation of two O’BellX semi-permanent avalanche release systems on an avalanche path called the 80s Slide, located on the west side of Berthoud Pass between mile markers 241 and 242 on US Highway 40. If implemented, this will be the second phase of a strategy meant to maximize effectiveness of avalanche mitigation and minimize risk to mitigation staff, who traditionally prevent excessive snow buildup by triggering avalanches in danger zones through the manual setting of live explosives. 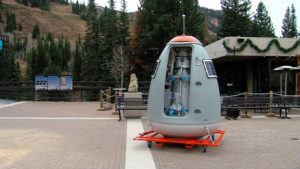 While there had been a push in the state since 2012 to implement safer means of avalanche mitigation, concern was raised after a serious accident in 2014, wherein an explosive round blew up while still in the firing chamber of what is known as an “Avalauncher,” or a repurposed World War II era canon, injuring two workers. By the fall of 2015, a pilot program was put in place to test an automatic avalanche control system called Gazex on areas of Berthoud and Loveland Passes. 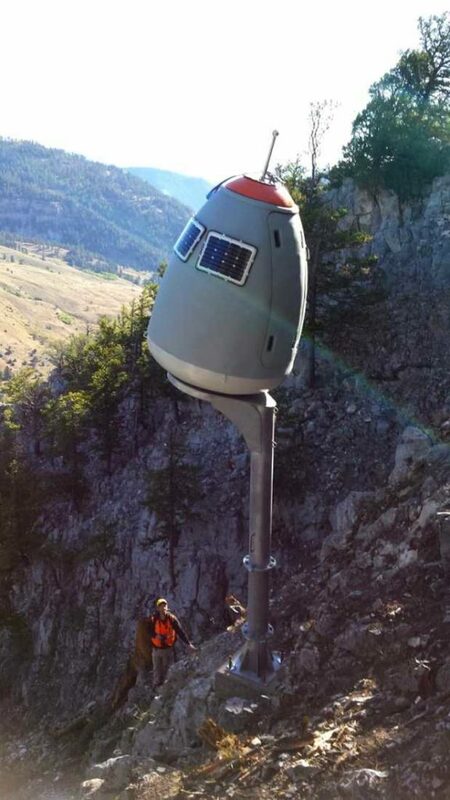 Five Gazex were installed on the Stanley Slide area on the east side of Berthoud. The Gazex system uses permanently mounted “exploders” that create a blast of compressed air, triggering a snow slide. Gazex is triggered remotely, with the touch of a button, keeping all personnel well out of harm’s way. R2D2 on a pole? Not exactly. The O’BellX remote avalanche triggering system is designed so that it can be easily removed and reinstalled for maintenance or seasonal adjustments. In eliminating live explosives, public safety is also increased by the Gazex system. Unexploded rounds of ammunition from traditional methods mean dangerous recovery efforts and potential risk to hikers and other recreators. 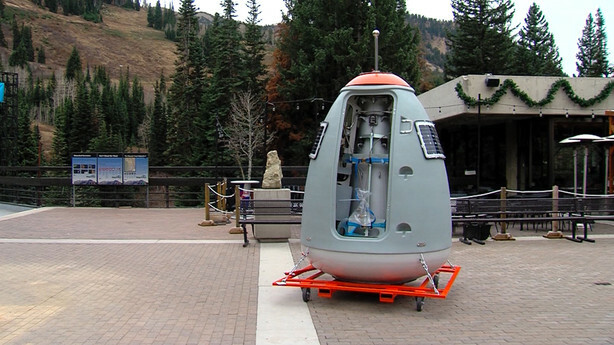 Additionally, the solar-powered Gazex have environmental benefits as they “leave no waste on the mountain,” according to a CDOT YouTube video. CDOT reports that, during the 2015-16 winter, 19 missions on Berthoud Pass resulted in 78 Gazex blasts and controlled avalanches that never reached Highway 40. Last winter, 10 mitigation missions triggered 42 detonations. Some of these slides did reach Highway 40, but were easily cleared by snow removal equipment. No unplanned closures occurred on Berthoud in either season, a common occurrence in most years, as both residents and visitors can attest. Each unit costs $120,000 with installation costs varying by location. Funding for the project has not been clarified, and local governments have not yet been asked for funding participation. In 2015, Grand County governments and Winter Park Resort put forward about $225,000 of the nearly $656,000 project. An investment “that is really now starting to pay dividends forward,” according to Winter Park Town Manager, Drew Nelson. 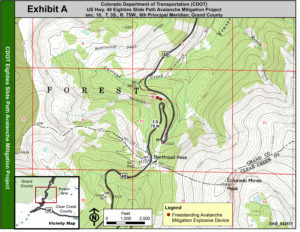 This Colorado Department of Transportation map shows the location of the proposed remote avalanche triggering devices. A final decision on the project is anticipated in September of this year. Upon approval, the O’BellX units will be installed next summer for use in the 2018-19 winter season.